In the recent years, green designs have become more popular, not only for buildings, but also for clothes, accessories, houses and even specific areas in people’s homes. Bathrooms, being one of the logical areas of the house to save energy, in this case water, has become one of the more popular places to go green. Green design has also evolved in the recent years. While before putting a dual-flush toilet was enough to make your bathroom eco-friendly, now you can make every inch of your bathroom energy-efficient and not harm the environment at the same time. They need not be boring too. At Plumbtile, the leader in all things bathroom and kitchen design related products, we have a wide array of green products from tubs, showers, faucets, and even tiles that are that are made from renewable resources that have none to minimal impact on our environment. 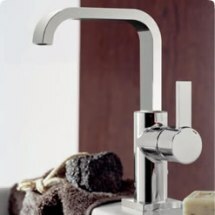 offers contemporary and traditional kitchen and bath designs from the finest brands worldwide. Leading the decorative marketplace since 1978, we provide bathroom & kitchen fixtures, designer hardware, tile & stone products that reflect elegance, luxury, quality & functionality. To know more about these products and brands or advice on how to GO GREEN, call 1-866-369-8180. The start of 2013 marks another year of green design trends for the bathroom. Organic – The past years’ trends concentrated more on functionality. This year, design is going back to the organic sensibilities, using nature-inspired shapes and more renewable or recyclable materials. Color – Use of eco-friendly splashes of paint or renewable resourced tiles and accessories will be the trend. All these in bright colors. Spa-like – Now more homes will feel more like spas than the usual family bath.